The Electric Book Award is Alternating Current Press’ annual book award to recognize an unpublished adult manuscript of poetry, fiction, nonfiction, or hybrid work, as a full-length collection or as a full-length single work, submitted to the press. All manuscripts submitted to Alternating Current are considered for the award, and there is no additional submission process. The winner is announced each summer from our manuscript finalists, selected by a judging panel, to receive publication, publicity, a monetary award, and other incentives from our press. All manuscripts submitted through our adult manuscripts portal, diversity category, private-invitation link, and Submit Anything! Open-Reading periods, are entered into and considered for the next Electric Book Award, as well as for open-reading acceptance on our press. There is no separate submission process. We have rolling deadlines for different categories year-round, but the award period runs from December 1 of one year through November 30 of the next year, with the award announcement being made the following summer. There is only one winner, although we do often accept and print several finalists, as well. We will respond to all submissions within a few weeks to a few months; you do not have to wait through the whole award period to get an answer. Any manuscript acceptances automatically become semifinalists. Read our manuscript guidelines here. The winner receives $200 ($100 for our regular honorarium, and $100 additional prize money, upon publication); publication of his manuscript at Alternating Current Press in paperback, ebook, and audiobook formats; 10 complimentary print copies; complimentary digital copies; competitive backend royalties at 50%; an award medallion for use on book covers and websites; a certificate; a book blog tour; and our full publicity package, including press kits, readings guides, press releases, mailing list blasts, social media, review and contest copies, and more. 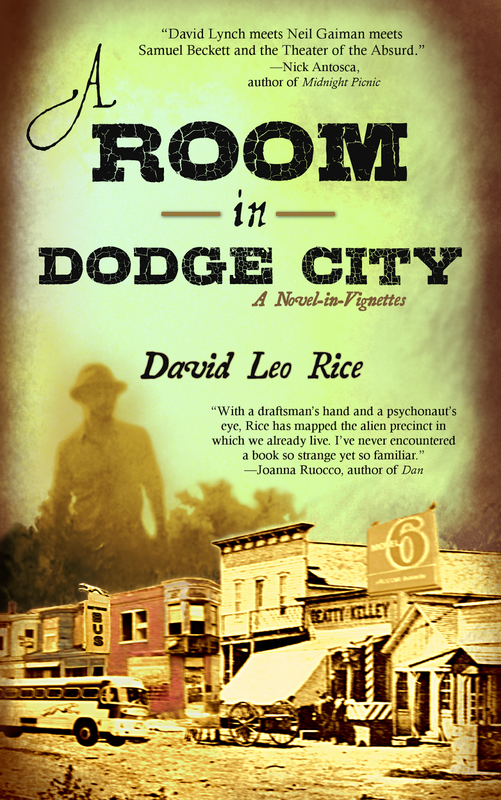 A Room in Dodge City follows a nameless drifter into an American heart of darkness. In this nightmarish version of the historic Dodge City, mythic beasts crawl out of the woodwork; bizarre rituals are enacted; and death is never the end. Equal parts humor and horror-show, David Leo Rice’s novel combines the mundaneness of modern life—motels, strip malls, temp jobs—with something stranger, darker, and more eternal. Told through linked vignettes that read like metaphoric fairytales gone wrong, Dodge City consumes the reader just as it slowly consumes the drifter, leaving all to wonder whether any of us can ever truly escape this world—or our own. Read more and buy the book! Dark, strange, lyrical, and full of frustrated desire and whimsy, Carmen Lau’s debut collection of stories and novellas paints a vivid picture of femininity in the clutches of fantasy, reflecting the brutality of growing up a girl and challenging readers to rethink fairytales as they’ve always known them. 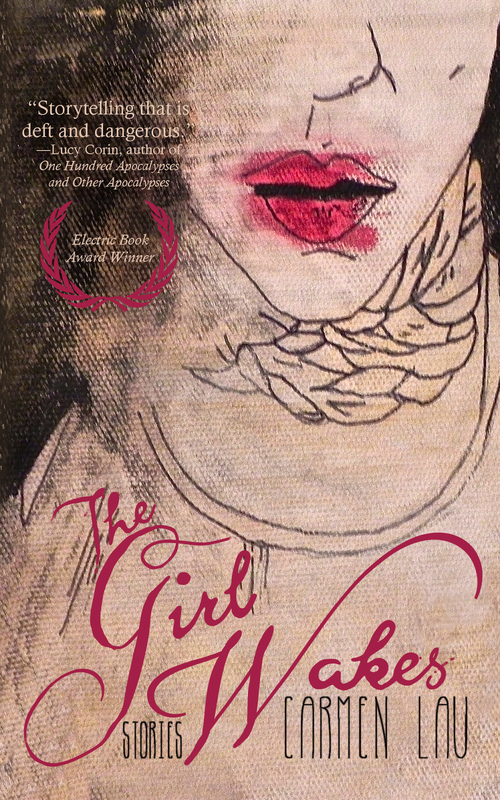 Within, you’ll find a tender heart, a painful core, and a paradoxically disastrous and beautiful coming-of-age of every and any girl, told through fairytales that mirror real life and are at once contemporary and timeless. Joining the ranks of Angela Carter, Kate Bernheimer, and Allyse Near, Lau weaves tales of a girl who is too fantastical to be real and too real to be fantasy.